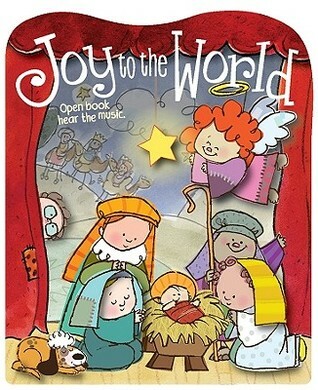 The text is fun and creative (it doesn't follow the traditional song lyrics, except on the last page), and communicates both what is significant and what is fun about the Christmas season: gladness, gratitude, peace, service, love, gifts, and rejoicing about the birth of Christ. My daughter loves that the book lights up and plays "Joy to the World" when she opens the cover. I love that this is a board book, that you can turn the music and lights off if you'd like, and that you can get free replacement batteries (plus $4 for shipping) from the publisher. A great book for toddlers. Not the traditional song, but, it is a good sing along.